Ceramic space heaters offer an excellent way for you to complement your home’s main heating system with some added support through the long winter months (without inflicting significant additional costs). They can be used to heat up small and large rooms; models with oscillating fans can effectively distribute the warm air across the room to heat up your surroundings evenly. Ceramic heaters are heaters with a ceramic heating element and are typically compact and light. As they are compact and mobile they can be easily situated on your desktop, floor, or mounted onto a wall. As with our other “shopping guide” format posts, we provide a quick list of the five best selling ceramic space heaters, followed by more in-depth reviews and technical information regarding, what we consider to be, the 5 best value for money ceramic space heaters. 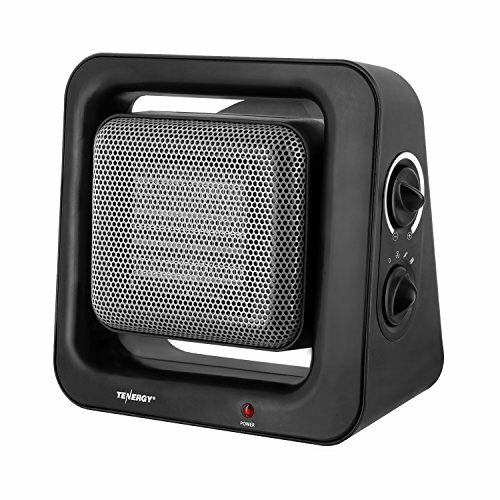 BACKED WITH SAFETY - The Tenergy Personal Heater has an automatic shut off feature to prevent overheating once the electric fan heater senses an internal temperature of 179.6°F (82°C). 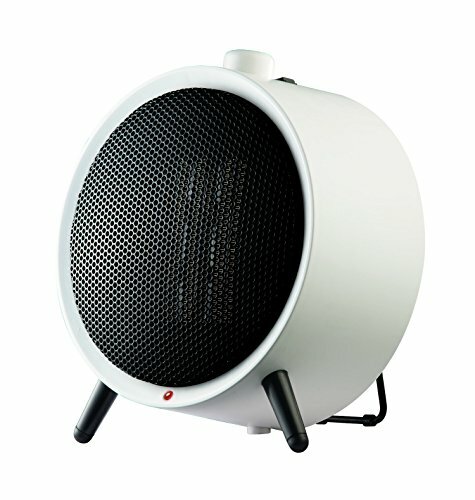 We have compiled the top five ceramic space heaters which are currently available on the market below. Each of them operates economically, quietly and safely and can be shipped to most international destinations. The Lasko 754200 is also similarly small in size, measuring at 6 x 7 x 9.2 inches and weighing only 4 pounds. You can use the manual controls to choose between three settings: a 1500-watt high setting, a 900-watt low setting, and a fan-only option. Use the adjustable thermostat control to choose your ideal temperature, and be assured that the automatic self-regulating ceramic element will prevent any incidents of overheating. All three settings operate quietly, allowing you to heat up the room without having to endure any unwanted noise. It comes with a convenient carrying handle and a 3-year limited warranty. 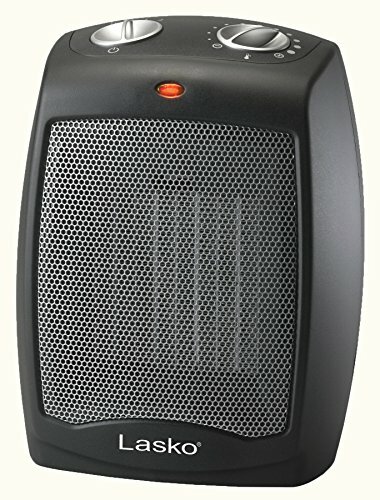 The De’Longhi DCH5090ER Personal Ceramic Heater provides powerful heating capacities in a relatively small package which can fit comfortably into small spaces, measuring 7.5 x 9.84 x 13.78 inches and weighing only 5 pounds. It can provide the necessary additional warmth needed to heat up bedrooms, home offices, and living rooms via its motorized oscillation and multiple heat settings. You can choose between the min, boost, and eco-energy settings during the winter, and use the fan-only mode to generate air circulation during the summer months. Use the multi-function remote control to easily adjust the desired oscillation, power level, and temperature, or rely on the ECO Plus setting which automatically settles on the optimal setting based on your temperature preference and current room temperature – while providing energy savings of 20 to 40 percent (as compared to traditional heaters). You can also rely on the programmable 24-hour timer to automatically add comfortable warmth as desired. Meanwhile, the De’Longhi’s Safeheat technology feature will shut it off whenever it is on the verge of overheating, or if the unit has been tipped over. Additional features include a handy 24-hour digital timer, a power indicator light, anti-freeze technology which automatically turns the unit on when the temperature drops below 45 degrees to prevent frozen pipes, an easily removable dust air filter and an easy-carry handle for convenient mobility. 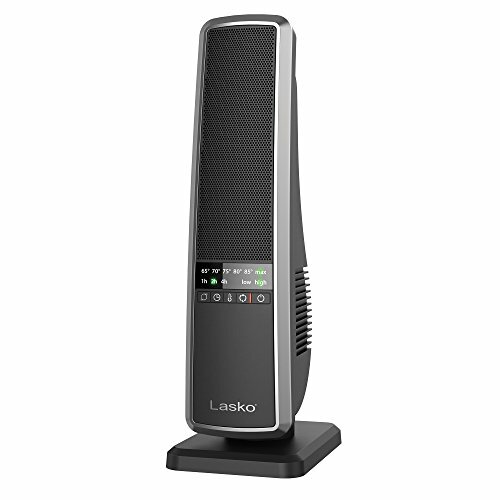 The Lasko 755320 also comes with a vertical cylindrical design and has similar dimensions to the Lasko 6435, measuring at 24 x 15 x 15 inches and weighing 9 pounds. It provides up to 1500 watts of heated comfort, top-access push-button controls with a sleek digital display, low and high-speed settings and widespread oscillation to heat up the entire room evenly. Additional features include a programmable thermostat; an 8-hour timer; a heat shutoff function for the internal device and external ambient temperatures and a carry handle that allows for easy transport from room to room. 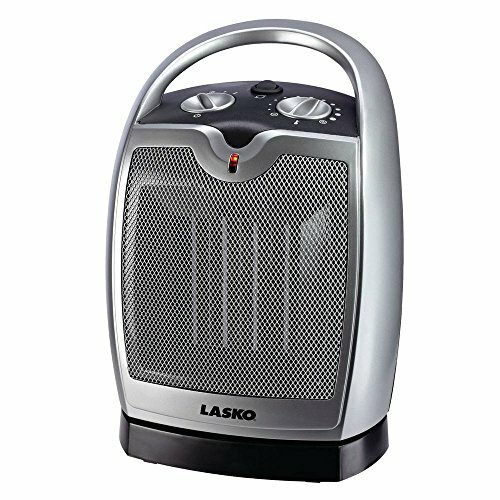 The Lasko 6435 is slightly larger and heavier, measuring at 8.2 x 8.2 x 16.1 inches and weighing 8 pounds. It comes in a vertical cylindrical design that oscillates to heat the entire room (you can operate it via the multi-function remote control). Additional features include a self-regulating ceramic element, a crackled finish, a 7-hour timer with auto shut-off and automatic overheat protection for safety. You can choose between a low or high setting, or opt for the auto thermostat-controlled setting. All settings operate quietly, allowing you to enjoy up to 1500 watts of heated comfort without unwanted noise. Weighing only 3 pounds and measuring 4.5 x 6.5 x 8.2 inches, the Pelonis NT20-12D ceramic furnace comes with a stylish white modern design. It comes equipped with ceramic fin elements that allow for maximum airflow, allowing you to heat the entire room quickly and efficiently. Additional features include an adjustable thermostat, dual wattage selection, a fan-only setting, thermal cut-off overheat and safety overheat. With all these options, there will never be the need to suffer through a cold spell ever again. For less than $70, you can heat up a small or average sized room quickly and enjoy the comfort of warmth. Be sure to choose a space heater that suits the size of the room you want to warm so that you can keep you and your family warm without unnecessarily hiking up your electricity bill. All these models come with safety features that shut the heater off in the event that it overheats. Be sure to inspect your heater to ensure that these features are fully operational, and regularly inspect your space heater cords for damage.